VW ETKA 7.5 China MUST be installed on Windows XP! Not 64bit! Attention please. 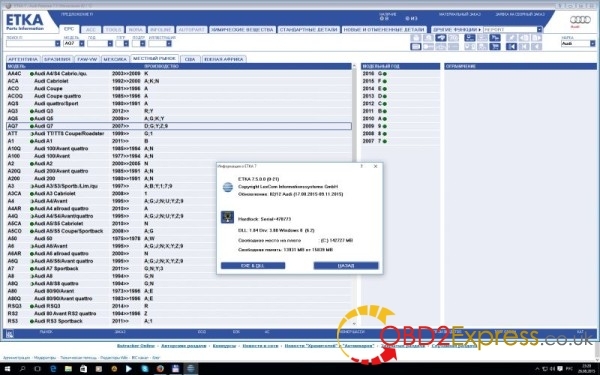 VW ETKA 7.5 electronic catalogue from China, especially from http://www.obdexpress.co.uk/ MUST be installed on Windows XP, NOT 64 bit system! Here is the how-to guide of ETKA 7.5 catalogue installation on Windows xp operation system.